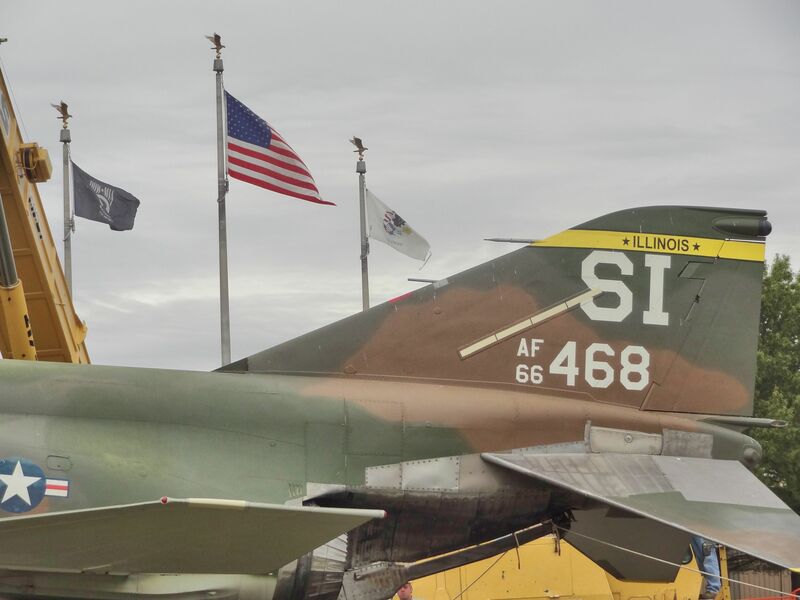 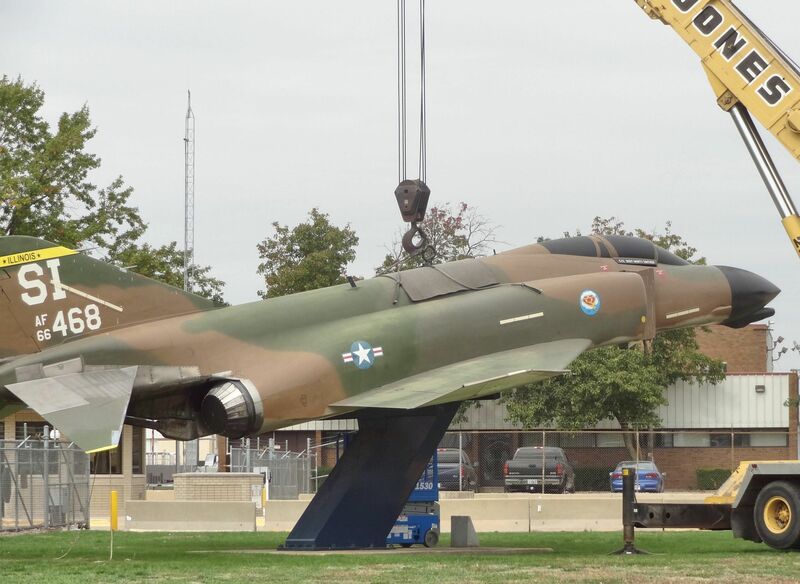 The F-4D was removed the same morning as the F-84F and F-86E (actually a Canadair CL-13) presented here earlier. 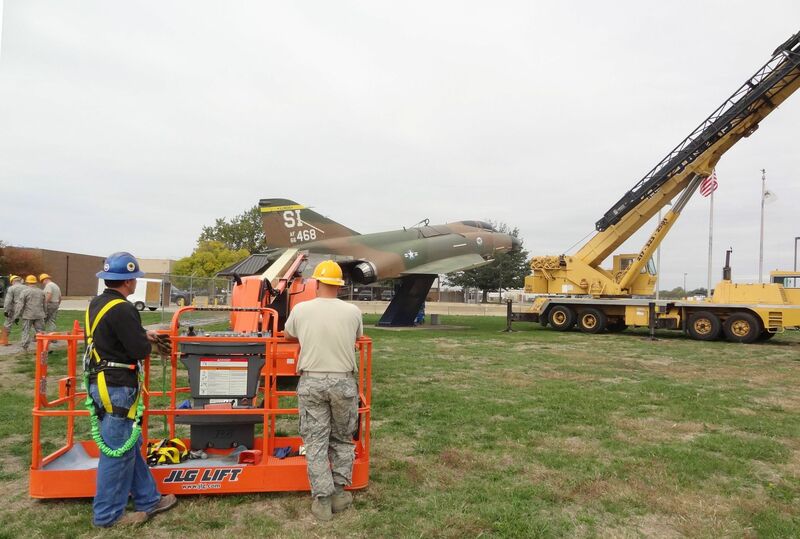 The cherry picker crew (left) waits for initial tasks to be completed before going into action. 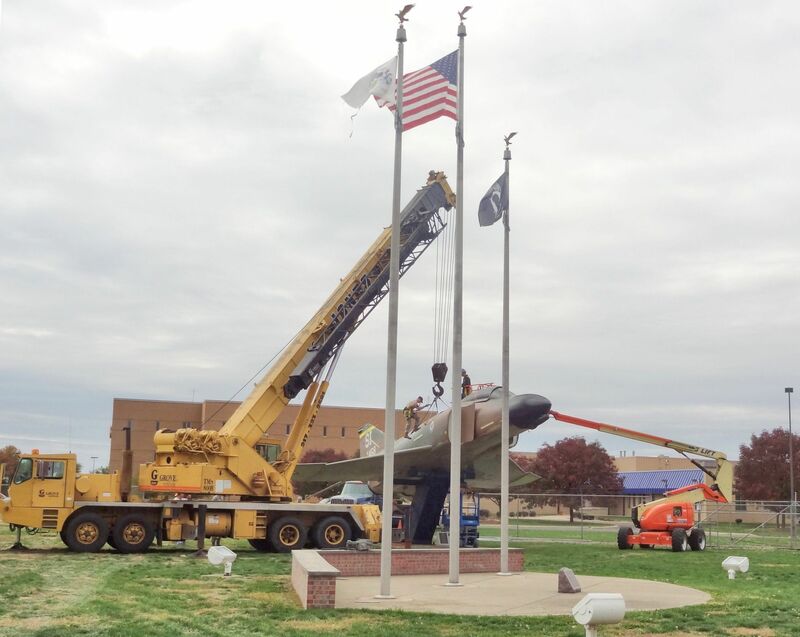 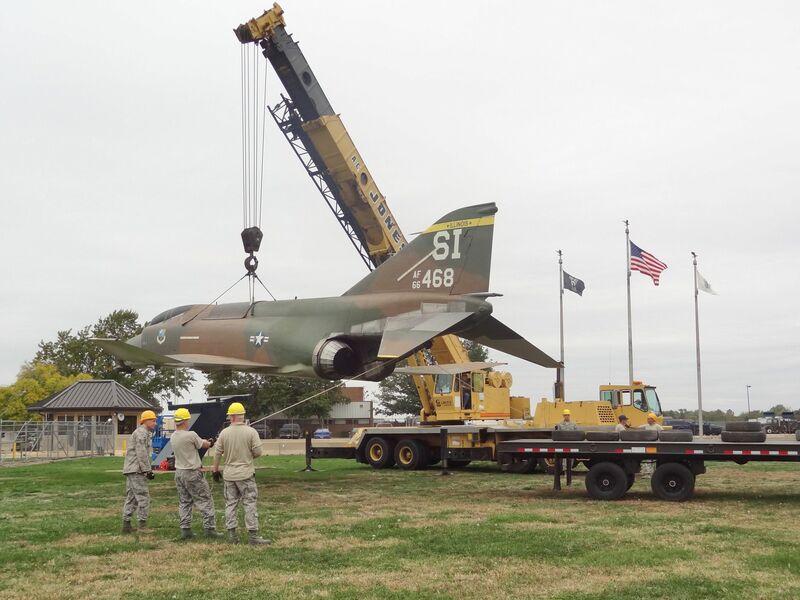 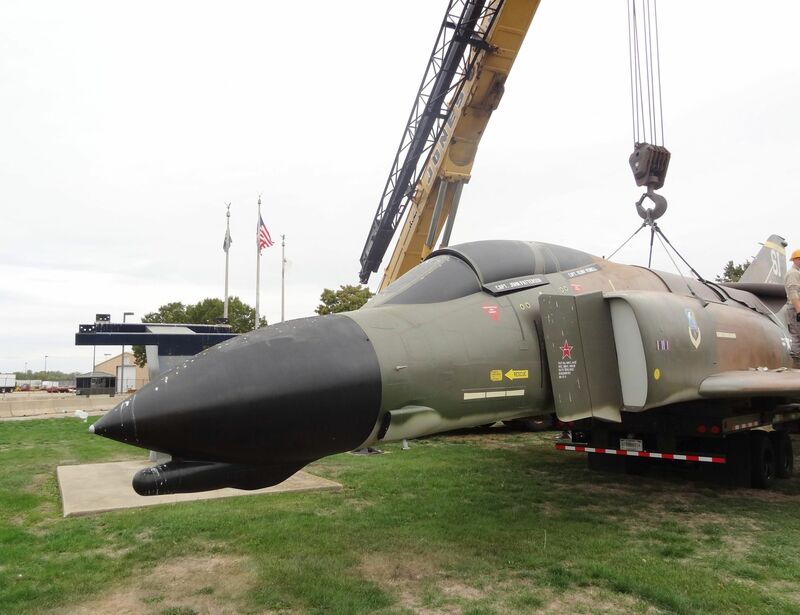 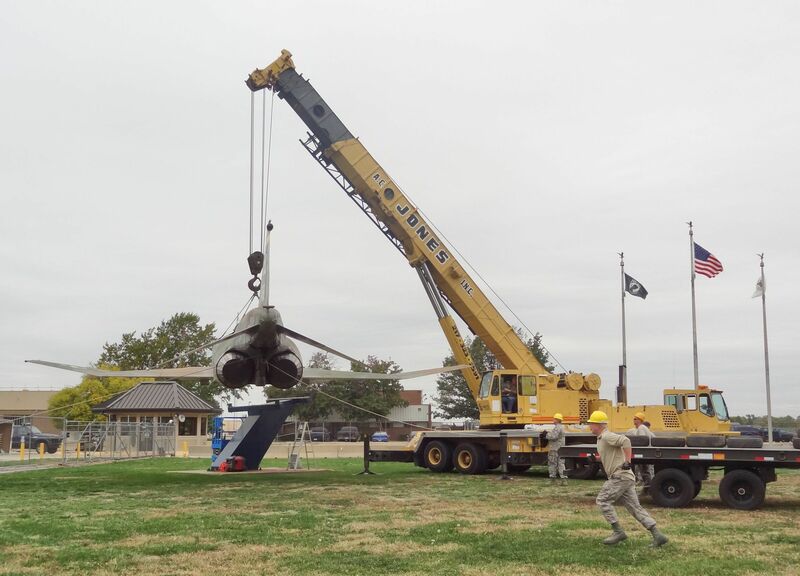 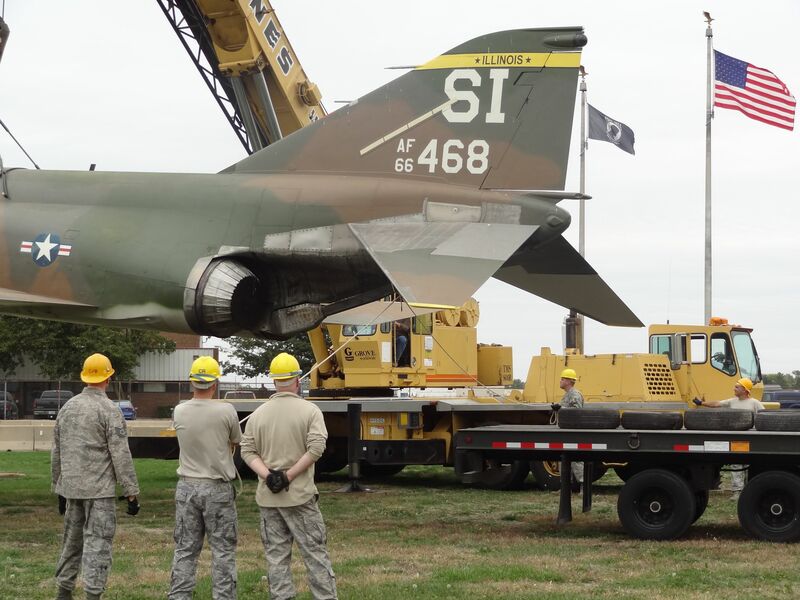 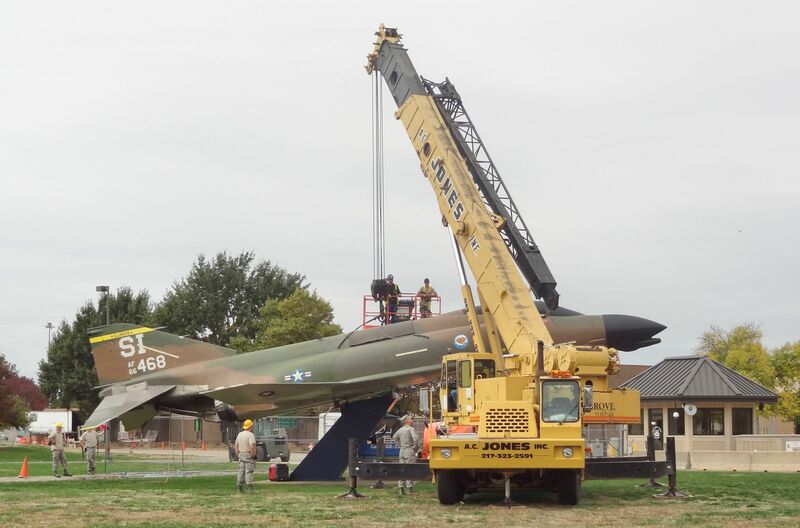 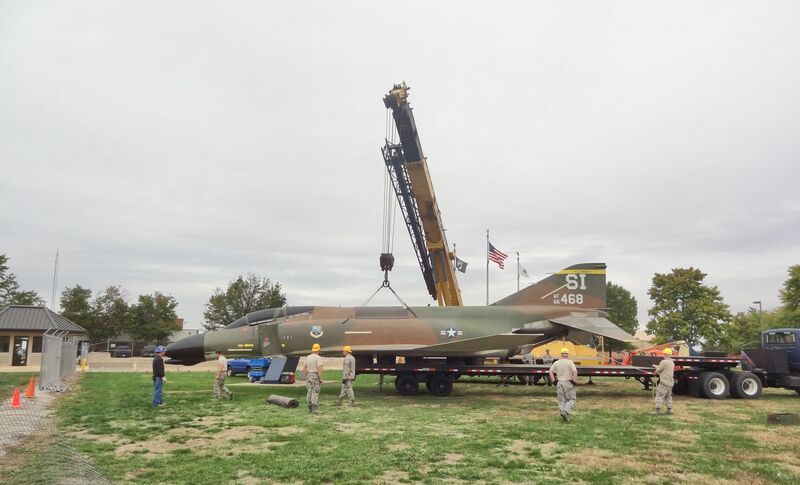 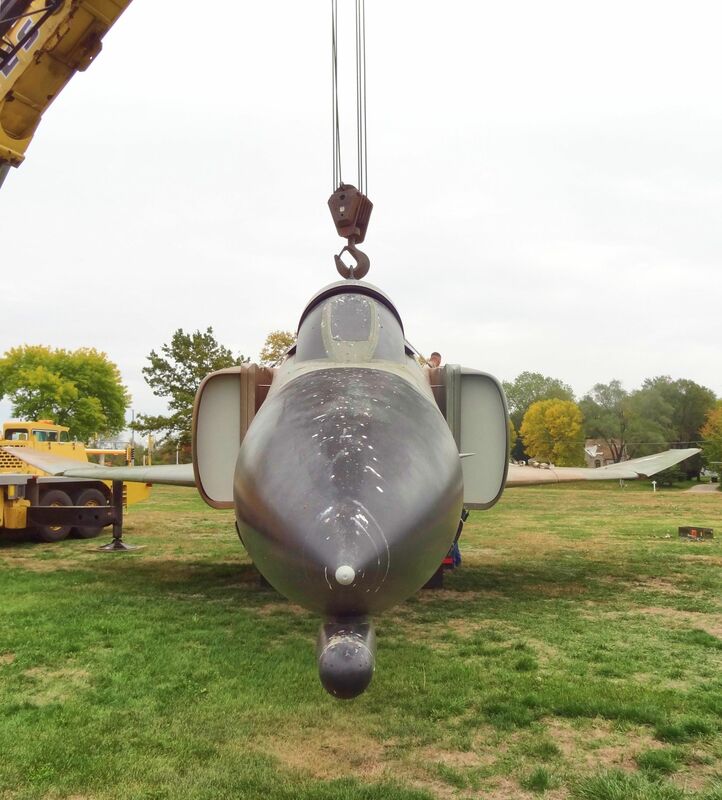 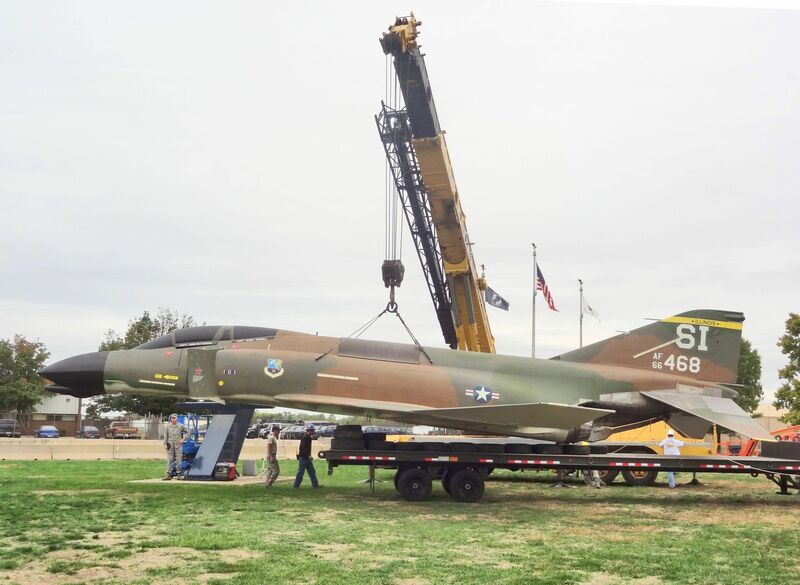 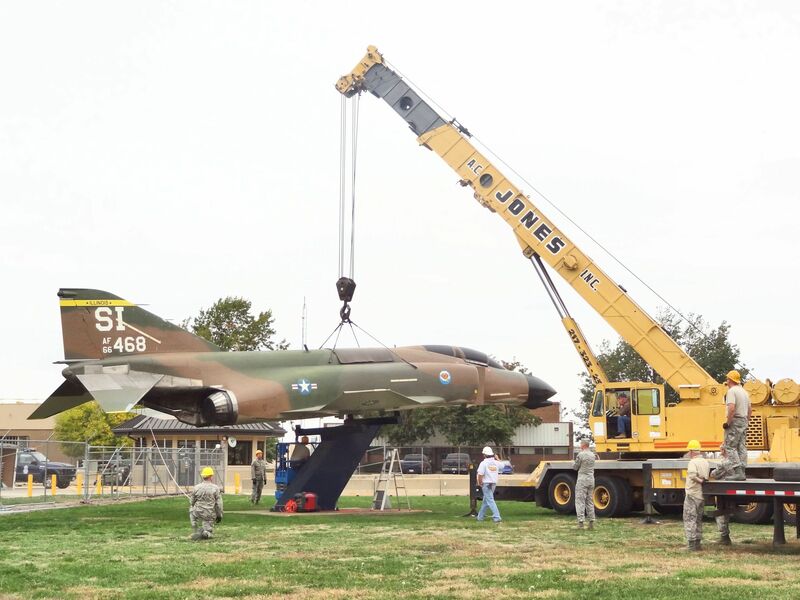 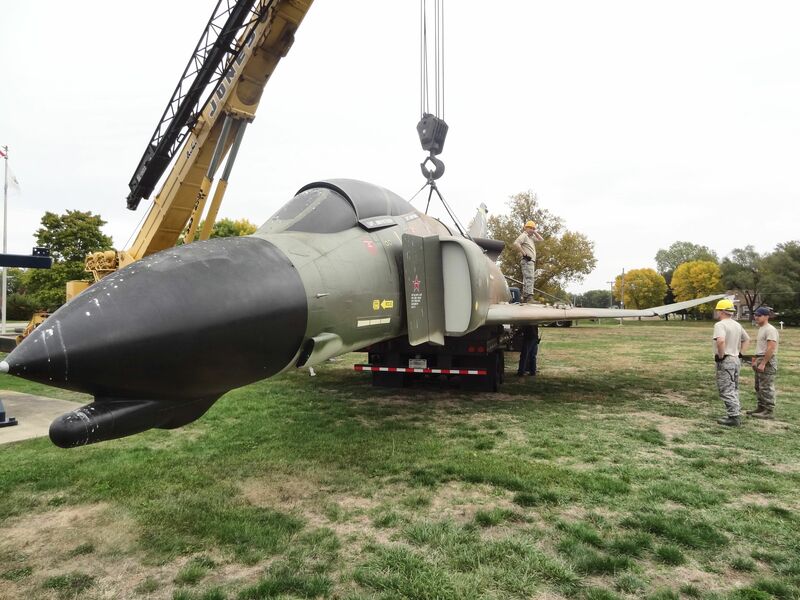 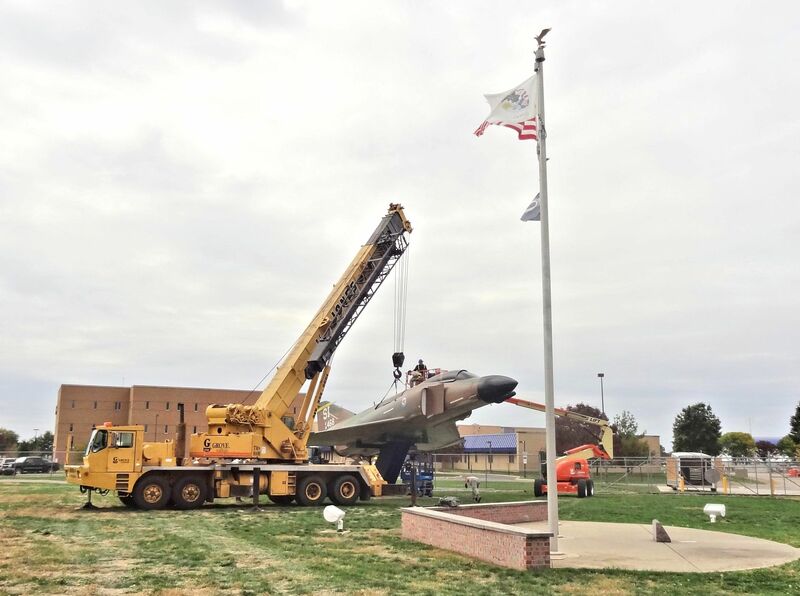 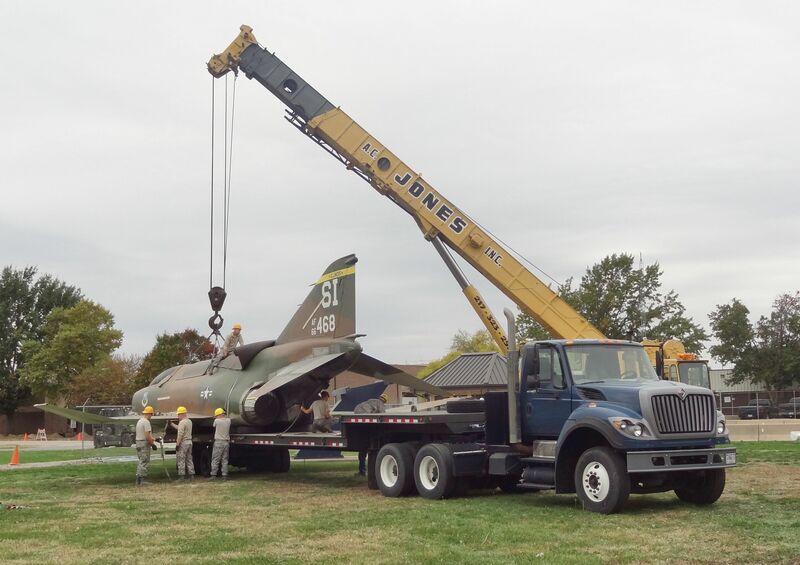 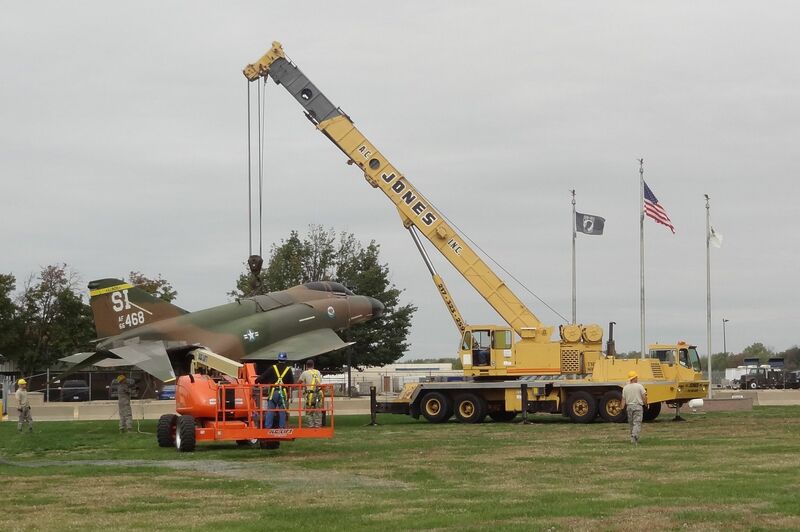 The harness used for the F-4 lift had been attached to the airplane a few days before it was removed from the pedestal.